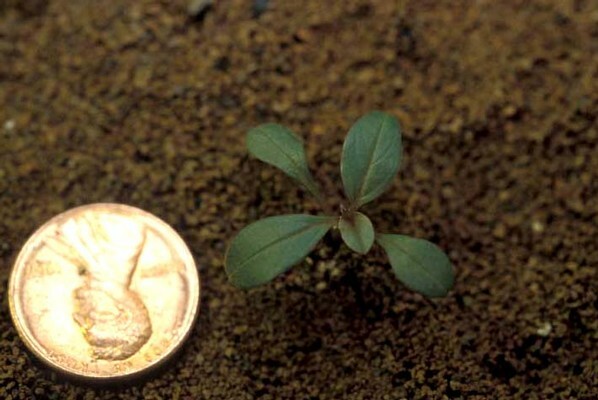 Tumble pigweed is an erect summer annual that measures 1m in length. Found throughout the United States and infests cultivated areas, fields, pasturesm and roadsides. Senesced plants spread their seeds by "tumbling" in the wind. Are dark green on the upperside and purple to red on the underside. Leaves are ovate and margins are entire and undulate with the apex notched. Leaves are alternate and are light green on the upperside while the underside has a reddish tint to it. 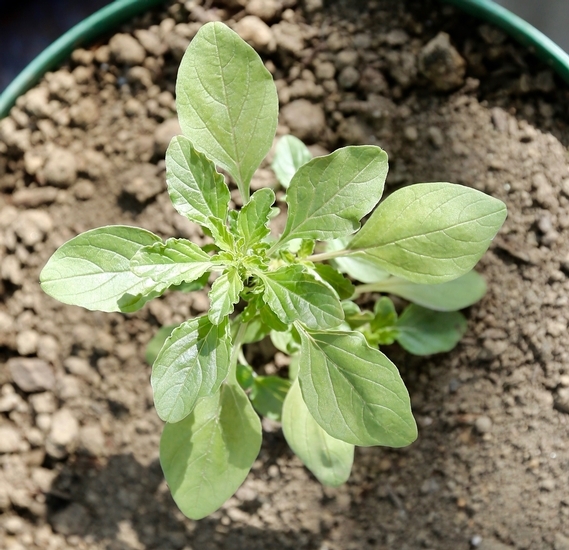 Blades are spatulate, have very noticable venation and short petioles. Pale green to whitish, smooth, and significantly branched. 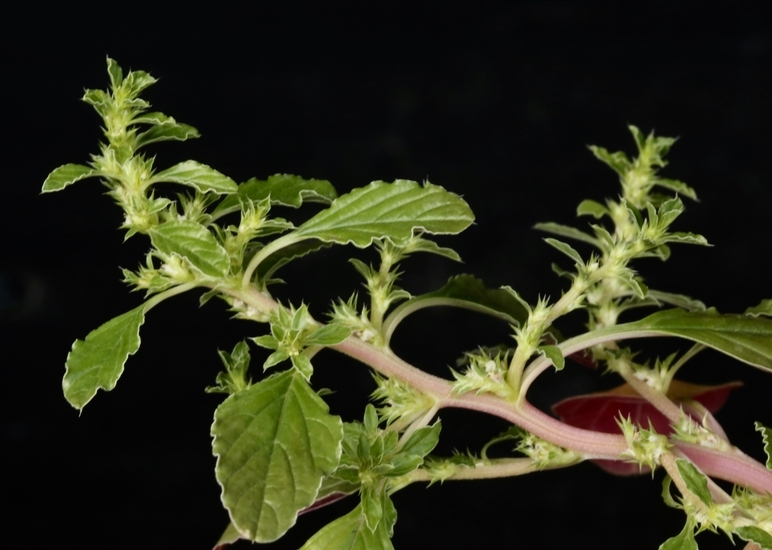 Formed in a dense cluster in the leaf axils and not in terminal spikes which is a characteristic of many amaranthus species. A well developed taproot that is usually shallow and under normal conditions not red. 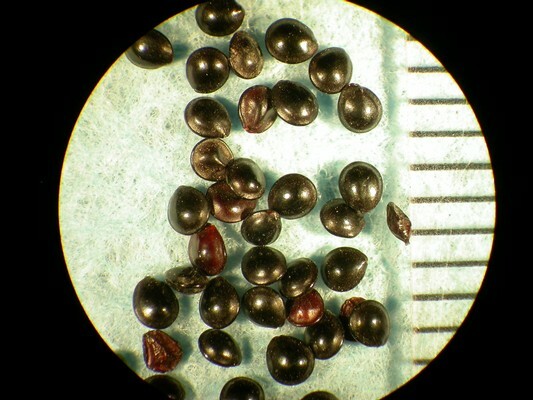 Glossy black, round, and are convex on both sides. 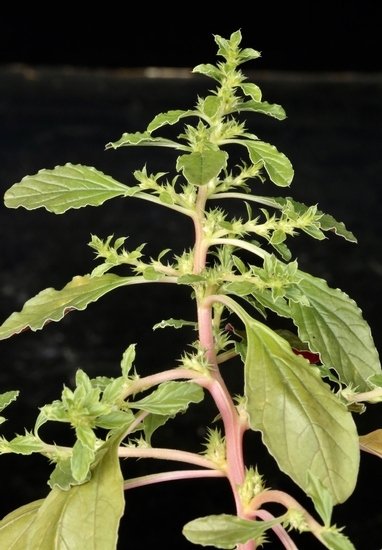 Tumble pigweed is extremely bushy branched, stems are pale green, and flowers are in axillary clusters and not terminal spikes. Often found rolling on the ground when mature spreading seeds.